Asia Bibi spent eight years awaiting execution before the Supreme Court overturned her death sentence for blasphemy. Asia Bibi was sentenced to death in 2010 in what swiftly became Pakistan's most infamous blasphemy case. Asia Bibi, the Christian woman at the centre of a blasphemy row which has ignited violent protests, been linked to two assassinations and spotlighted religious extremism in Pakistan, is expected to leave the country after its top court on Tuesday upheld her acquittal of the inflammatory charge. Bibi, a labourer from Pakistan's central Punjab province, spent eight years awaiting execution before the Supreme Court overturned her death sentence for blasphemy in October last year -- prompting days of violent Islamist demonstrations. As part of a deal with protesters to end the violence, the government allowed a petition demanding an appeal against the court's acquittal. Bibi has been held in protective custody since, with authorities refusing to reveal her whereabouts for fear she will be targeted by vigilantes. But Chief Justice Asif Saeed Khosa -- considered Pakistan's top expert in criminal law -- threw the petition out "on merit" Tuesday, lifting the last legal hurdle in the case and paving the way for her to leave the country. Moments after the ruling was announced, Bibi's lawyer Saif-ul-Mulook hinted that his client's move could be imminent. "I think at this time she is here (in Pakistan) -- but by tonight, I don't know," he told reporters outside the court. Extremists "said they would kill her despite the judgement of the Supreme Court," he said. "Therefore, I think she should leave the country." "She should now be free to reunite with her family and seek safety in a country of her choice," Amnesty International said in a statement echoed by other rights activists. Earlier Tuesday the Tehreek-e-Labaik Pakistan (TLP) party, which led violent protests demanding Bibi's execution last year, called for its members to be ready for action. But most of its leaders remain in detention after a government crackdown, and few protesters could be seen at the court in Islamabad, where security appeared normal. That did not prevent the handful who did show up from calling for violence against Bibi prior to the court's ruling. "If she goes abroad, don't Muslims live there?" Hafiz Ehtisham Ahmed, an Islamist activist linked to the extremist Red Mosque in Islamabad, told AFP. "If she goes out of Pakistan... anybody can kill her there." Chief Justice Khosa expressed frustration at the furious reaction to Bibi's case by an extremist minority. "Is this the face of Islam that we want to show to the world?" he told the packed courtroom. He had harsh words for those who first brought the case against Bibi, and the Islamists who over the years have used it to ignite violence, threaten judges, and call for mutiny within the military. As for the protesters, he was incredulous. "You block the entire country because a decision is not in your favour?" he told the court. Ghulam Mustafa Chaudhry, the lawyer who filed a petition on behalf of the cleric who made the original complaint against Bibi in 2009, remained unmoved. "All religious scholars also verified later that this agreement was wrong. This was wrong," he said outside court. Minorities -- particularly Christians -- are often caught in the crossfire. Calls to reform colonial-era laws against blasphemy have provoked violence. In 2011 Salmaan Taseer, the governor of Pakistan's Punjab province who offered to support Bibi, was assassinated by his own bodyguard in Islamabad. "Justice! #AsiaBibi" his son Shehryar tweeted after Tuesday's decision. Taseer's murder was followed the same year by the killing of minority affairs minister Shahbaz Bhatti, a Catholic, who had also defended Bibi. 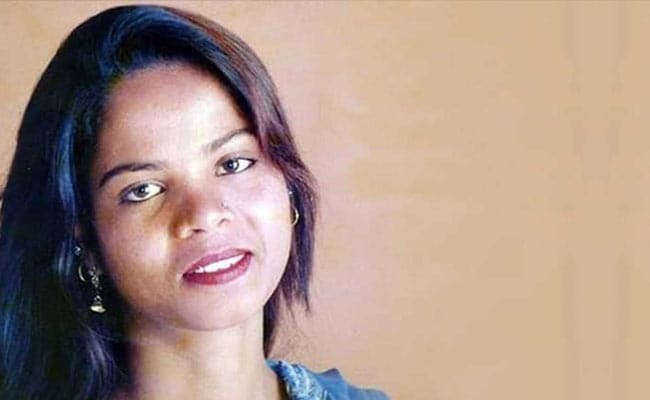 "This shameful delay in enforcing Asia Bibi's rights only reinforces the need for the Pakistani government to repeal the blasphemy laws as soon as possible," Amnesty stated. The EU called on Pakistan's government to protect Asia Bibi and her family, "as they would do for any Pakistani citizen". The allegations against Bibi date back to 2009, when Muslim women accused her of blasphemy against the Prophet Mohammed. The accusation emerged from an argument after Bibi was asked to fetch water while working in the fields, but the women objected to her touching the water bowl as a non-Muslim. Bibi has denied the charges, and her prosecution rallied international rights groups, politicians and religious figures. Pope Benedict XVI called for her release in 2010, while in 2015 her daughter met his successor Pope Francis.